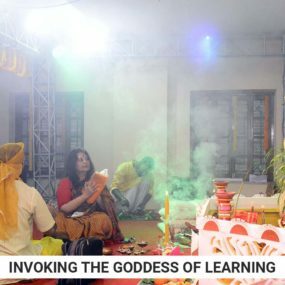 Saraswati Puja, the festival to celebrate the goddess of learning and music, was celebrated with much enthusiasm and vigour by the students and staff of Delhi Public School, Ruby Park on 9th February, 2019. 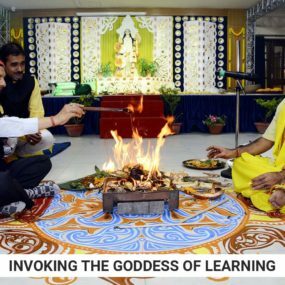 Everybody came together on this auspicious day of Vasant Panchami, which also marks the advent of Spring Season. The colour yellow (basanti), signifying the season of spring, was prevalent not only in the traditional attires worn by students and staff but also in the aesthetically designed handmade decorations (under the guidance of the Art Department) by the students using environment friendly material. 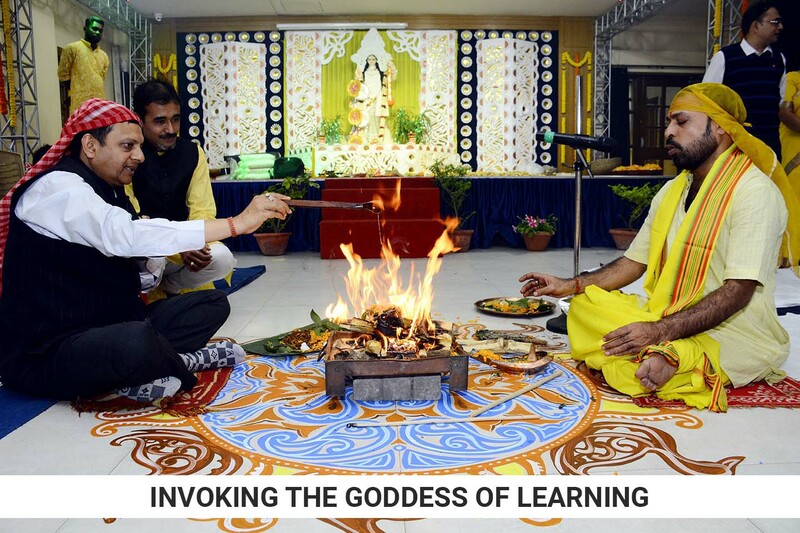 Students of Classes VII-XII attended the puja and offered pushpanjali to seek blessings from the goddess for their forthcoming exams. 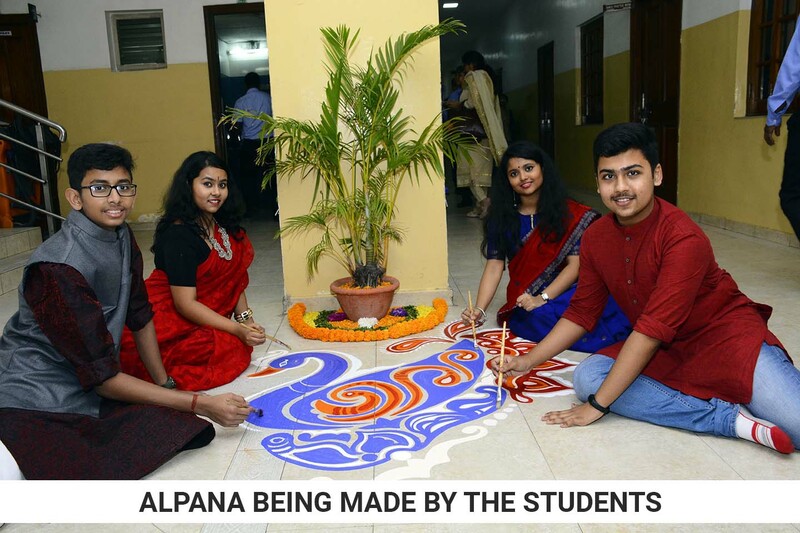 The entire campus had a festive look and all the decorations and arrangements for the puja were done by the students. 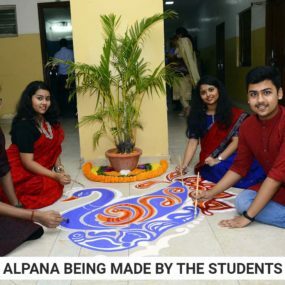 The serene ambience, the artistically done alpanas, the sound of conch shells, the chants of the sacred mantras, melodious devotional songs sung by the students filled the air of AV Annexe Hall during the cultural programme performed by them. 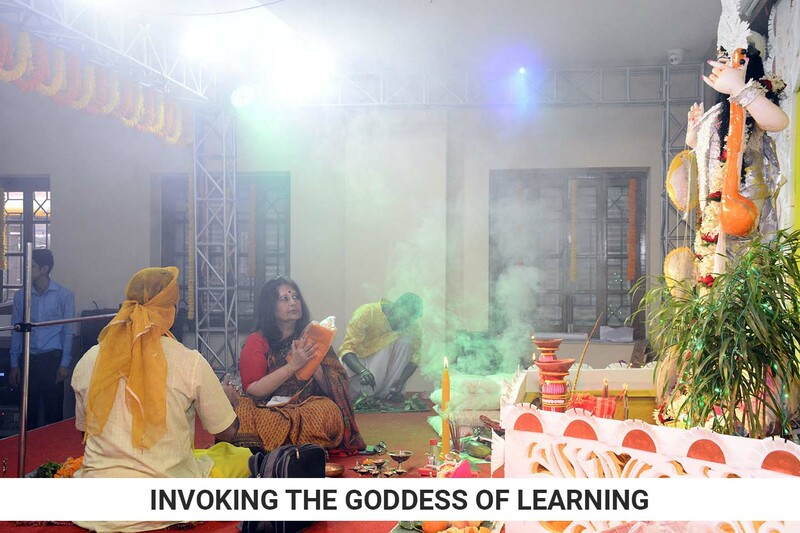 The students shouldered the responsibility of all the arrangements for the puja under the guidance of their teachers. The celebration helped the students to stay in touch with the customs of our country, learn the qualities of team work, leadership and cooperation as well as strengthen the bond between students and staff of the school.